ST. PAUL, MN – Last night (Thursday), Governor Tim Walz declared a peacetime state of emergency, and ordered the Minnesota National Guard to provide assistance and emergency relief services for stranded motorists in Renville County. 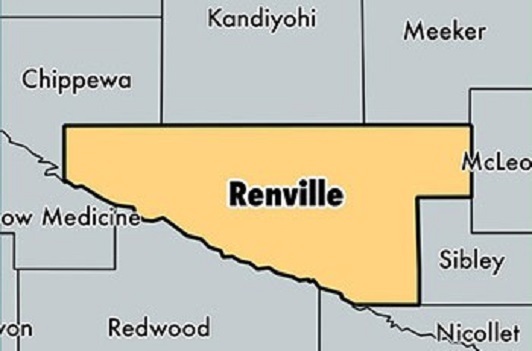 Heavy snow and strong winds have stranded motorists in Renville County and continued storm conditions are expected to create dangerous conditions for people traveling through the area. The Minnesota National Guard will assist with search and rescue operations and has opened the Olivia Armory as a shelter. 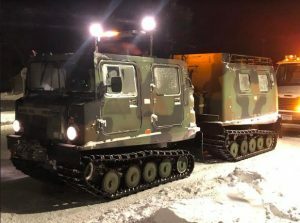 With Highway 71 north of Olivia, MN becoming completely impassable by conventional vehicles, the National Guard Unit conducted two separate rescue missions during the night with their SUSV Tracked Vehicle (photo below). A total of eight people were rescued from vehicles on Highway 71 by the SUSV team and were brought to safety at the armory. The armory provided overnight emergency shelter for 18 stranded motorists in the area.